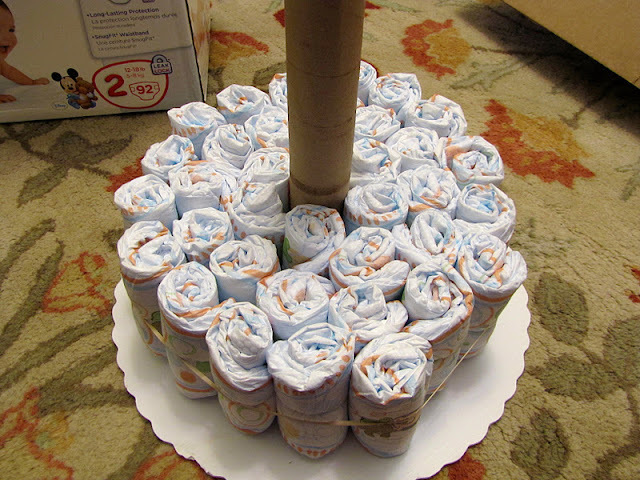 Today I'm going to share with you the instructions for the diaper cake I made for Katie's shower. When I'm planning a party I like to make things that can be used for dual purposes. 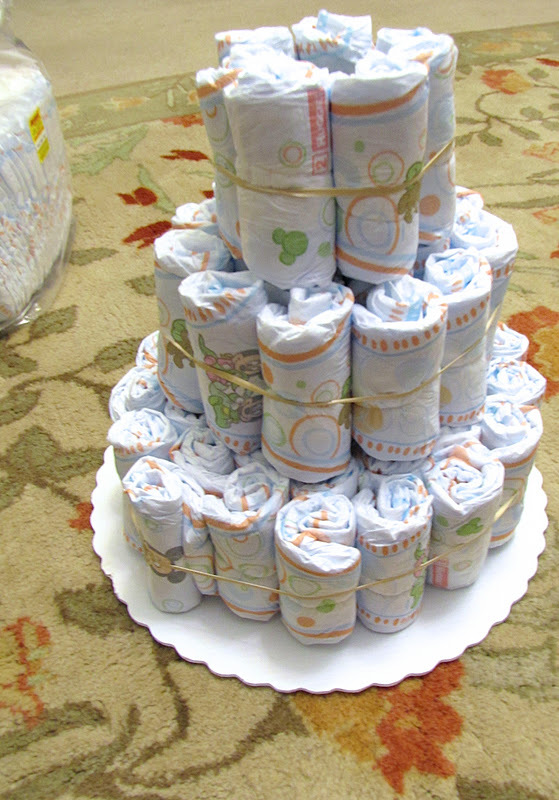 A diaper cake makes a great table decoration and is also a wonderful gift for the mom-to-be. 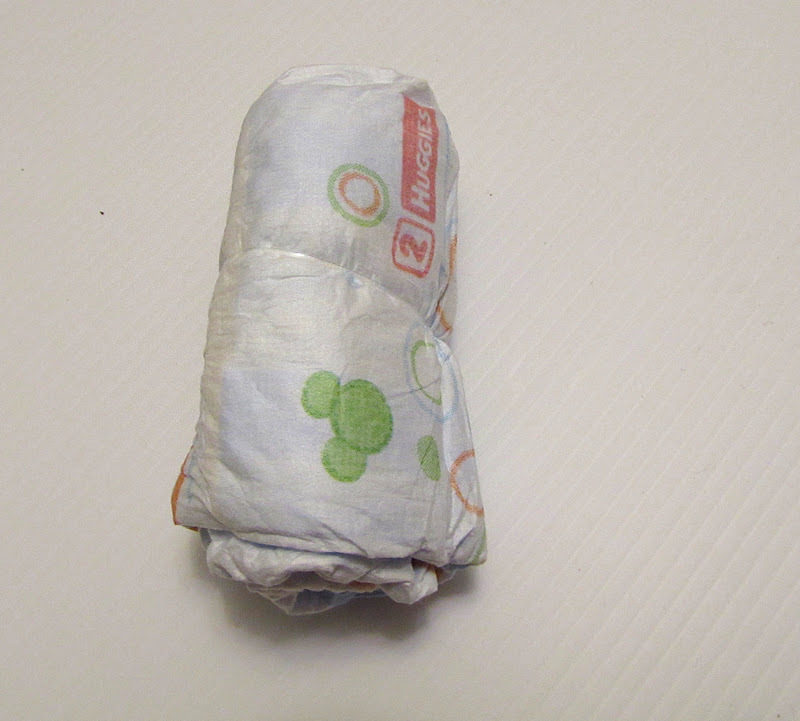 First lay your diaper flat in front of you. Starting with the open end roll it up. Wrap it with a small clear band to secure. Do that until you've got a nice big pile. 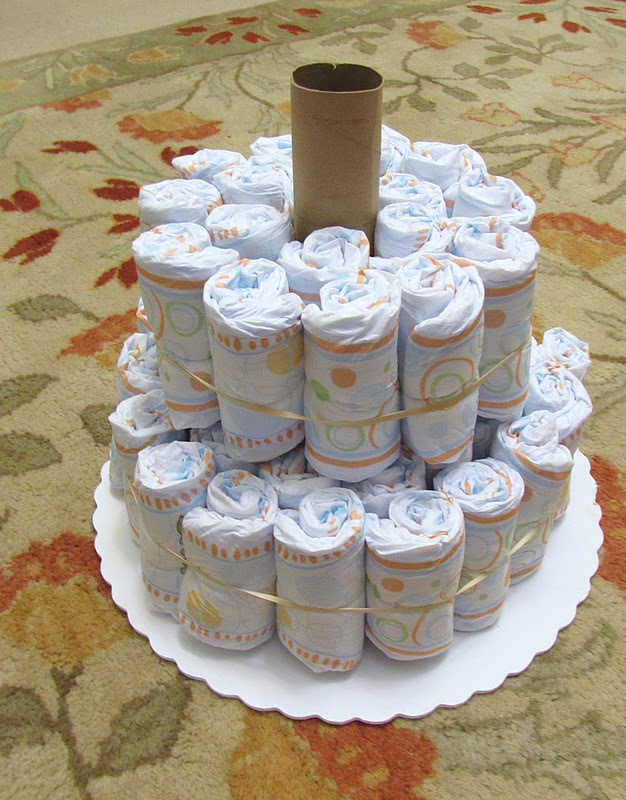 Stand the paper towel roll in the middle of the cake plate and start surrounding it with the diapers. Wrap the rubber band around it to hold them in place. 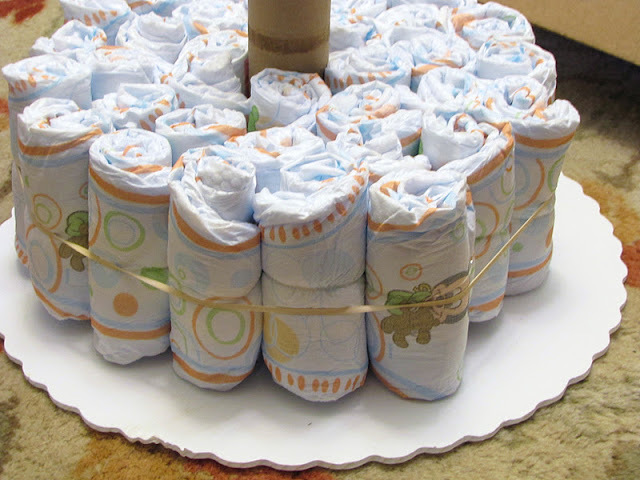 I added diapers until I had 3 rows (approximately 38 diapers). 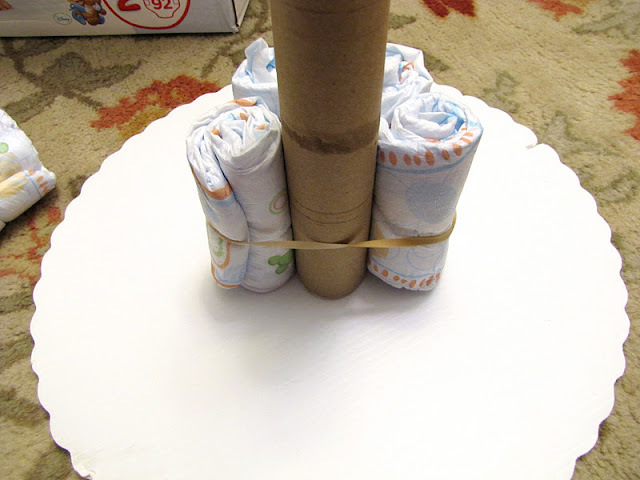 Do the same to a second layer only using two rows of diapers. I used about 18 for the second layer. Finally, add a third layer with one row (about 7 diapers). 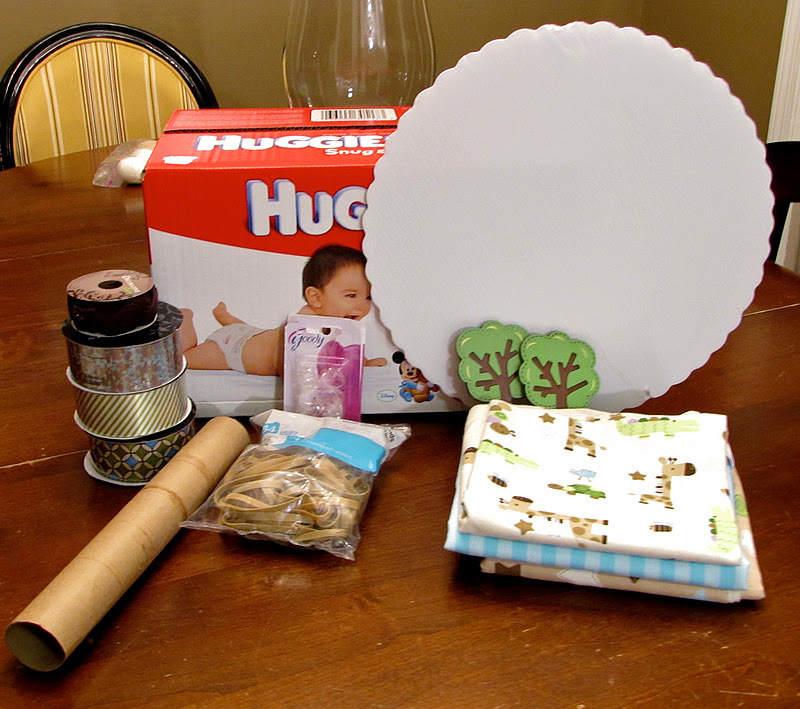 Now you've got the base of your diaper cake to decorate as you please. I wrapped mine with receiving blankets securing them in the back with straight pins. Then I wrapped each layer with ribbon and hot glued the ends of the ribbon together in the back. Make sure not to get glue on the blankets so they can be used when the cake is taken apart. 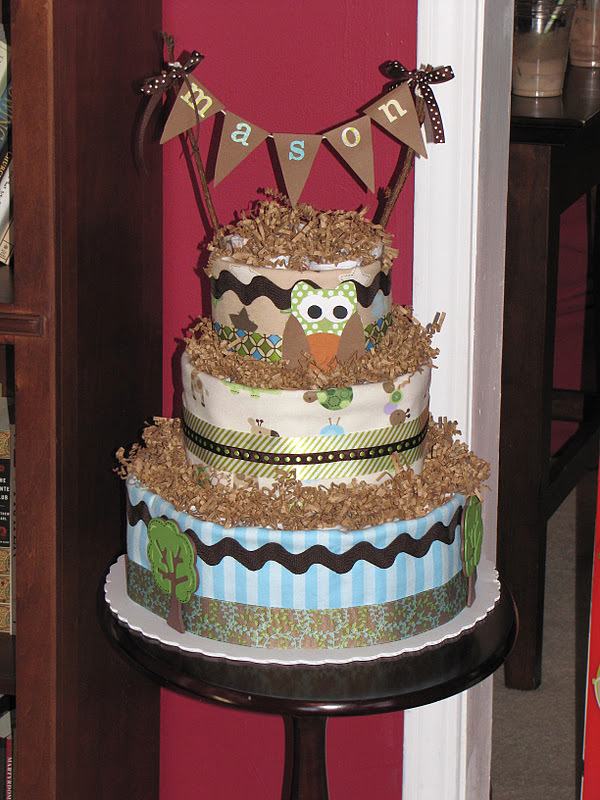 I found the tree embellishments at Hobby Lobby and I made the owl out of scrapbook paper. I made the little banner for the top and tied it to twigs. There you have it! Easy peasy right?